Cooking at Christmas time can be stressful but luckily, Ringtons have some great treats to help you enjoy a more relaxed festive break this year. Download our list of 30 Things to do before Christmas and make sure nothing is left to chance. You don’t want to have to send someone out on Christmas Day searching for milk. Having a constant supply of biscuits and chocolates to dip into once an hour is absolutely paramount to enjoying a relaxed and indulgent festive season. Make sure to buy quality biscuits, and lots of them! 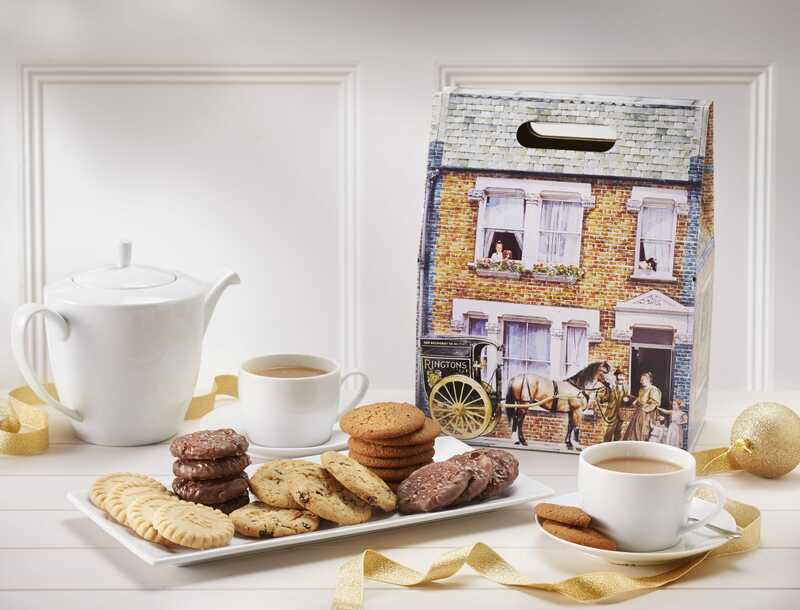 Ringtons Classic Biscuit Hamper includes their famous Gold Taste award-winning Hand Baked Ginger Snaps and is sure to have something for everyone. When it comes to the cheese board, most people remember to buy a smorgasbord of cheeses, hard, soft, and blue from Britain and beyond, but it’s the accompaniments which really lift your cheeses. Containing three preserves, Ringtons Savoury Selection will spice up your cheese board and biscuits, and make it a these board which will be talked about next year and beyond! The selections sell out fast, so don’t delay if you wish to try them out this year. After the seventh glass of wine, and by the time the port comes out, heads can become slightly sore and hazy, so it’s important to hydrate with something else — tea, of course! And for Christmas, make sure you’ve got the very best. Ringtons Ultimate Tea Lovers Selection Box should help see you through the day itself and into 2016! With a selection of some of our most popular teas, you can drink according to your mood. There’s always one. That pesky person who is so difficult to buy for it drives you crazy. If that sounds familiar or if you need a last minute gift, and can’t make up your mind from Ringtons’ handy Christmas guide, a Ringtons gift voucher to the value of your choosing would be welcome in anyone’s stocking. For someone who’s been really good this year, Santa could always deliver the ultimate in Ringtons luxury. The gold gift box contains a selection of the very best Ringtons products for your truly loved one. Have a wonderful and stress-free Christmas! Find Jeff on Twitter and his blog Newcastle Eats.